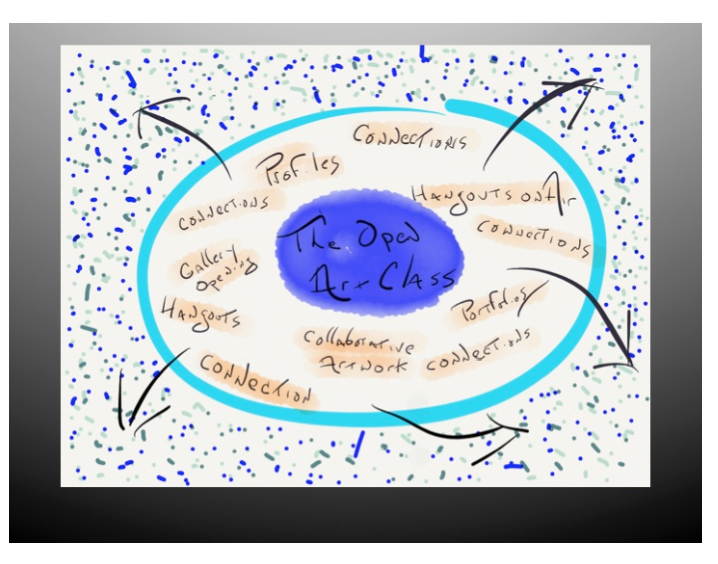 The Global Educator: Eight NEW Global Collaborative ideas to Flatten Your Learning! 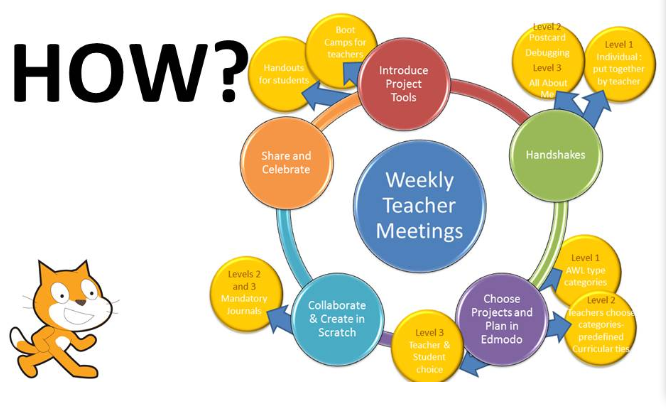 Eight NEW Global Collaborative ideas to Flatten Your Learning! Celebrations and sharing well considered ideas for future collaborations have been part of the exciting culmination to the Flat Classroom Certified Teacher Cohort 13-2 this past week. What is significant about this course and this cohort is the diversity of teaching positions and experience and individual place on the global collaborative learning pathway, however as a community of learners we have thrived - learning with and from each other at each turn of the road. Let me briefly introduce and describe each teacher and each project. Avylon is from Australia, she teaches gifted students at the middle school level. She wants her students to think global and act local and uses the Art Costa Habits of Mind method as a basis for student researching. Her project involves students in cross-school teams meeting in Edmodo, brainstorm issues in their community, take these ideas global, survey an expert in the field of the topic chosen (an interesting idea, putting a survey together is hard work and a good skill to have! ), make a collaborative video around the devised solution the team comes up with to raise awareness, and share final presentations via Skype. Maureen is from the USA and has been involved with Flat Classroom for many semesters, also as a project manager recently. She raised our awareness about the use of Scratch (coding, creating animations) to form a collaborative project. Such wonderful ideas once again! The Scratch community is apparently already very close and responsive and provides lots of global support. The idea of this project is for a cross-curricula, three ability levels approach. 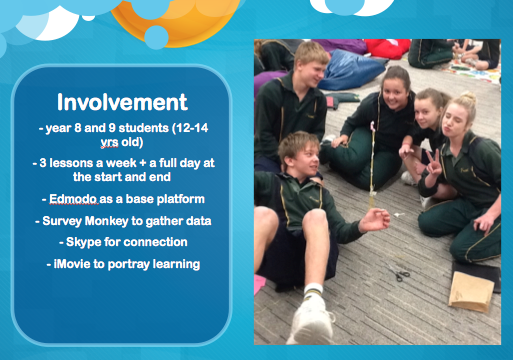 Students from 8-14 years will meet in Edmodo and follow the design cycle to create products using Scratch. The project will take 10 weeks, and 6 classes are needed for it to run effectively. Students will interact and collaborate and keep mandatory journals of their experiences. Maureen shares her work here, and links to the design planning doc. Cameron is a history teacher from Australia. He has a great passion for sharing a broader view of history and connecting students with primary sources - people in fact! 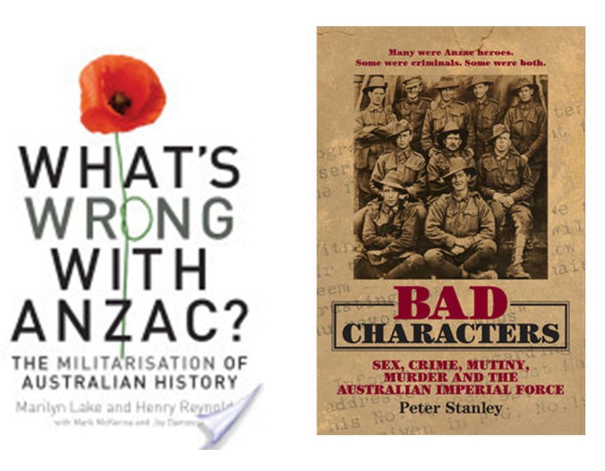 who have experienced first or second hand the 'textbook' events we learn about as 'history'. He presented to us ideas for going beyond the patriotic, jingoistic approach to teaching history through his focus on WWII for his project idea. This is a project he has run in the past but is now redesigning with new determination. Students will form teams and interview someone who remembers WWII and compare primary source recollections across countries. It is that simple - but so powerful! He described a past project where students from Australia and Turkey connected and how stories and understanding went far beyond what a text book can provide. Penny is a Principal in a small elementary school in New Zealand. She shared with us ideas for ensuring teachers are future focused, and for cutting through the isolation of teaching to start building relationships to share new ideas, new ways of thinking and common understandings. She has developed an approach to professional learning that leverages Web 2.0 tools and provides a pathway into connected learning. Through this process of collaboration teachers will come to realise the importance of communication, new ideas and new opportunities. Penny is aiming to build a community with her current teachers and expand that globally! It is exciting to see a school leader develop this to support their own community and as a plan to bring new learning experiences into the school. Chuck is an international teacher currently in Singapore. He is an art teacher and has designed this project idea to join art students across the world. He wants to harness Google hangouts and other collaborative asynchronous spaces to share art, do field trips and expand cultural ideas. He compares the 'brick and mortar' classroom with the global classroom - and shares his ideas for students to get outside views and make alliances to support creative work. This is a refreshing set of ideas leading to a global collaborative opportunity for other art students. 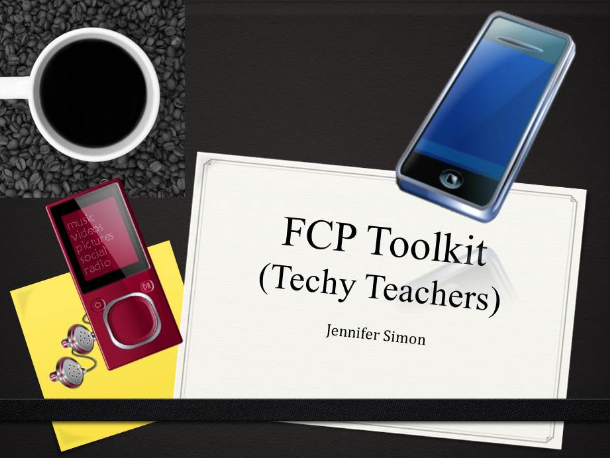 Jennifer is a technology integrator in an international school in Vietnam. She has developed this 4-week course around skills and tools needed to collaborate globally. She takes the objectives of connection, communication, citizenship, creation and has created a pathway for educators to learn together and become more confident knowing how to use the essential tools. This concept could be implemented within a school or, as it is originally designed, for teachers globally as a virtual course. There is a great need for this focus - 4 weeks of tools related to global collaborative projects and objectives. Tina is a Grade 3 teacher from the USA and is a very experienced global collaborator already. She has redesigned her Penpal project to tighten up the structure and provide a supportive environment to encourage more classrooms to join. Her wiki page on the Global Classroom wiki is an excellent writeup of what is a great opportunity for entry level teachers to join a global project. 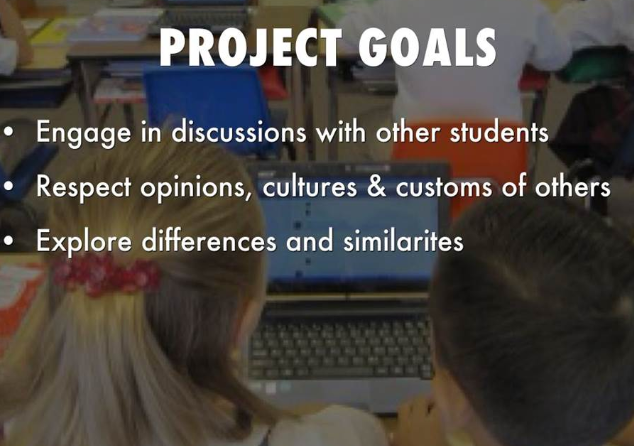 The goals are for students, Grade 4-8, to engage in collaborative discussions with others in teams and explore diverse topics. One aim is for young students to learn how to communicate in a formal way - not text-speak - while online. A feature of this project is the reflection at the end, the 'eye-opener' as Tina calls it. A 12-week timeline, starting next in February 2014! Dorothy is a Grade 1 teacher in the USA. Her project is literature based, with weekly discussion questions posted to a wiki. Partners are invited to join the wiki and add their details and share their school. 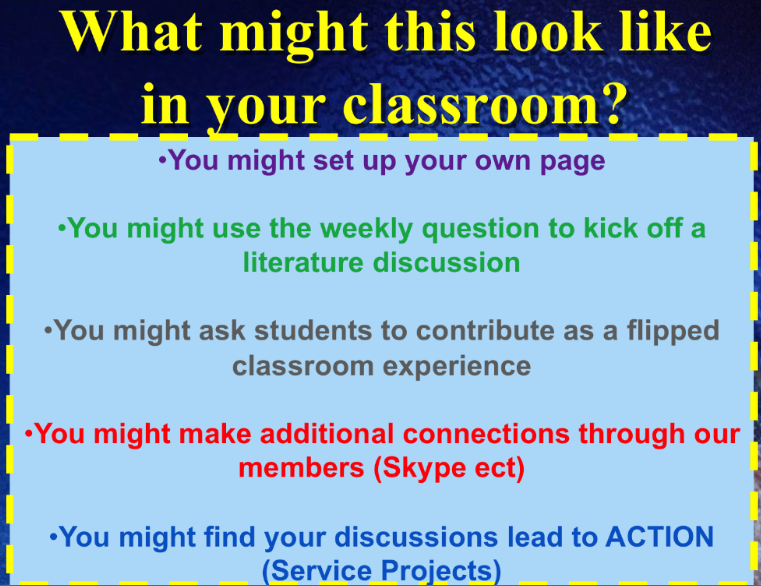 She has a lot of 'flat' connections and collaborations going on with her class already and this project idea is a way to collect those together and build towards more extended collaborations. Dorothy also shared this short video with us of her students talking about what they liked best about reaching out beyond the classroom walls to learn about the world. What happens next? Well I know the above ideas for projects and collaborations will go ahead and be implemented. Some have run in the past and now will run with an updated structure and clearer focus. Others will run as pilots and be tweaked and evaluated for future improvement, once again building a better collaborative experience each time. The main point is that these educators are out there doing it - they are 'teacherpreneurs' in their schools - probably the only ones. They are leading the way, taking steps to embed collaborative practice and global learning into their curriculum, planning to provide rich multicultural and technology-infused experiences for their students. Bravo! Please support them, join our teacher network and interact with them, join their global project, be a part of their plans and dreams for a better education that joins the world for global understanding. Are you interested in joining a supportive cohort of global learners to embed global collaborative practices into your classroom or school? There are TWO opportunities offered in early 2014. 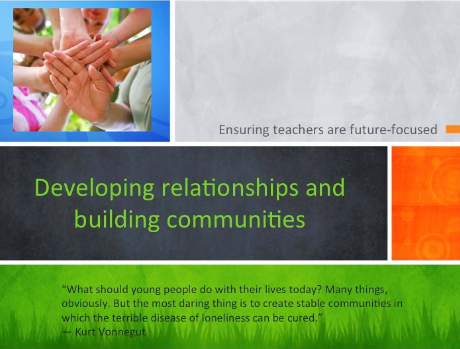 These are shared via the Flat Connections, Flat Professional Learning website. Consider joining us in the new year - it is possible to take your classroom and your learning global and create wonderful opportunities for your students and colleagues. This course was such an amazing experience, I learnt so many new skills as well as a whole new understanding of what education needs to look like in the 21st century. I highly recommend teachers join up! Thank you Julie for all your great support, expertise and inspiration. And thanks to the whole cohort for your sharing, ideas and fun! Thank you so much for sharing what these wonderful teachers are doing. As I work at an international school in Thailand, I am always interested to hear how other teachers are making global connections with classrooms around the world. In fact, the Edmodo Penpal project sounded very intriguing and I look forward to being apart of it in February. However, I was wondering if you could tell me more about what is meant by the term flat connections? Thanks again for sharing. Thank you Avylon for recommendation to others! It is about 'flat learning' and 'connected learning' and being able to bring the world into your classroom and taking your classroom out to the world.